An all automotive swap meet and car show. Cars, Parts, Accessories, New, Used, Vintage all makes and models are welcome. Event is held Rain or Shine. 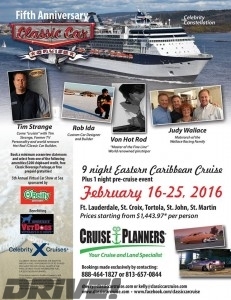 Cruise the Caribbean with Classic Car Cruise featuring Von Hot Rod, Tim & Carrie Strange, Rob Ida, Judy Wallace, and classic car lovers from all over the country. 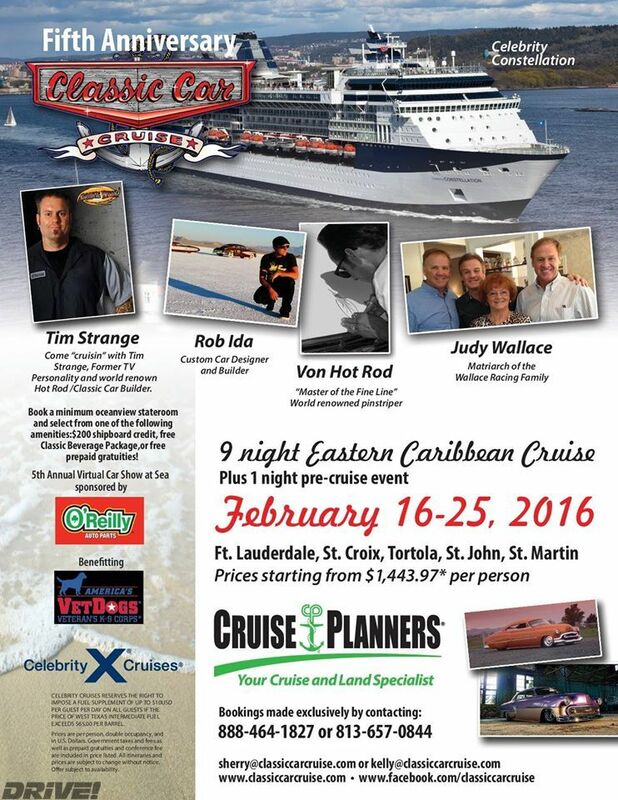 If you love to travel and love classic cars, this new way to cruise is for you! BBQ, goodies and cacklefest so bring your classic car for a great time with the wonderful people and cars. Wings and Wheels Car Show at the March Field Museum. All cars welcome. We will be parked among the planes. Registration is good for you and a passenger entry to the Museum. Music, food, raffles, 50/50 drawing, lots of prizes.